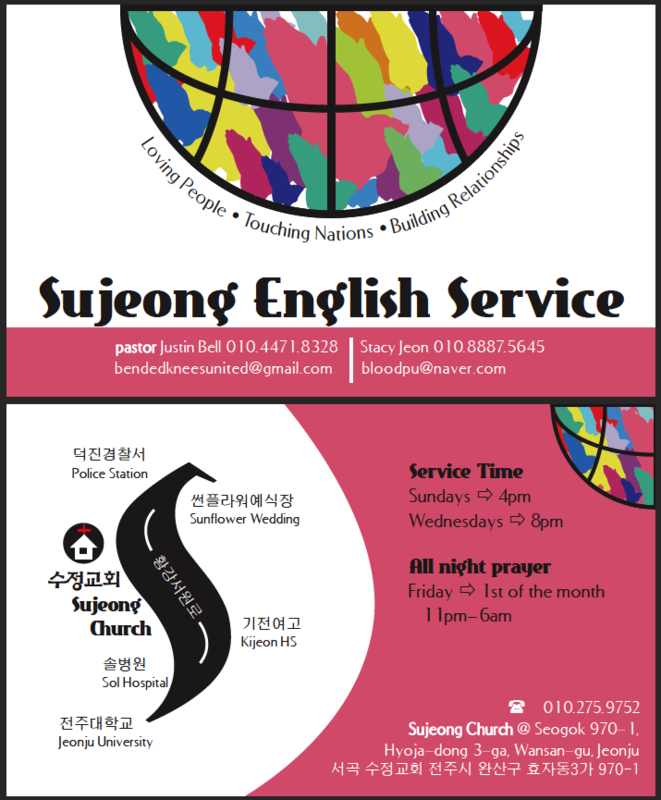 After working on the Sujeong English Service business cards, the pastor requested that I also create some cards with his other logo. 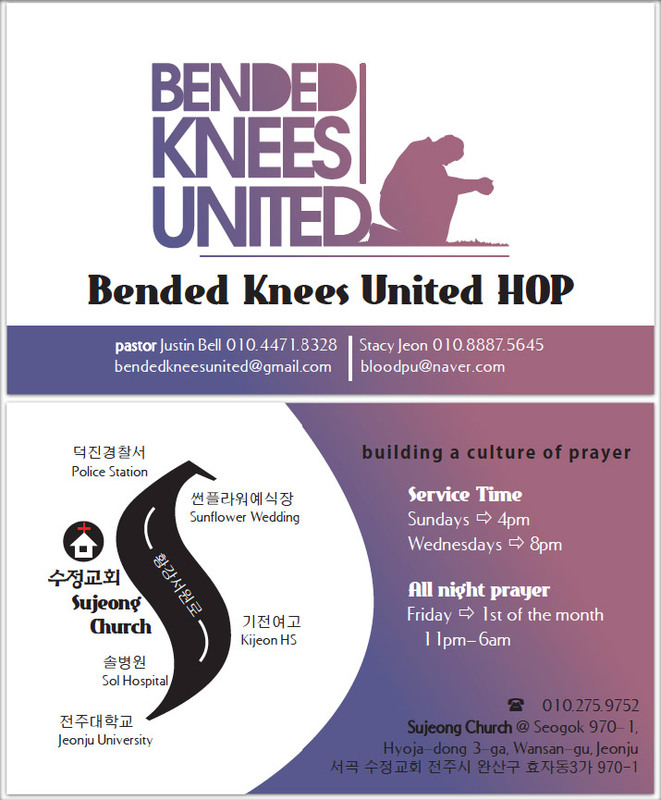 Unfortunately, these never went to print as the church decided to go in another branding direction (the Jeonju House of Prayer), but here are the designs anyway. You can see how visually similar these cards are with the original Sujeong English Service cards. I kept them similar to show they are related.